Crypt side prayer services will be held Friday, November 9, 2018, at the Oak Hill Cemetery Chapel of Memories Mausoleum #2, 1400 E. Virginia St., Evansville, Indiana at 2:00 p.m. Visitation will begin there on Friday at 1:00 p.m. Entombment will follow prayer services. Father Godfrey Mullen will be the officiant. Those desiring, memorials are suggested to the Senior Center of Dickson, TN or the Easter Seals Children’s Rehabilitation Center, 3701 Bellemeade Ave., Evansville, IN 47714. 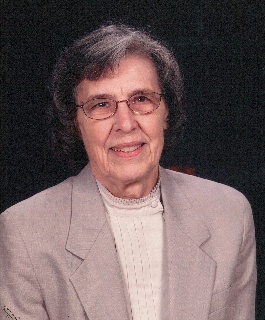 Mrs. Wood, age 87, of Dickson, TN, formerly of Evansville, Indiana, died peacefully November 4, 2018, at NHC of Dickson with her family by her side. She was born in Opelousas, Louisiana, daughter of the late James and Marie Richard St. Amand. She was preceded in death by her brothers and sisters James St. Amand, Martin St. Amand, Dorothy Ledoux, Ethel Hilliard, and Ruth Cambre. Mrs. Wood was a retired real estate broker in Evansville, IN; she and her late husband, Frank B. Wood, were owners of Wood Realty for over 30 years. She was a member of St. Benedicts Cathedral in Evansville, IN. Mrs. Wood had a love for antiques and enjoyed spending her spare time gardening. Survivors include her daughter Evelyn Jennings of Dickson,TN; grandson, Drew Jennings and his wife Karen of Huntsville, AL; granddaughter, Alexia McMillan and her husband, Brady of Breckenridge, CO; great-grandchildren, Landon and Logan Jennings of Huntsville, AL; sister, Barbara Nezat of Belle Chasse, LA; brother, Lional St. Amand and his wife, Barbara of Opelousas, LA; numerous nieces and nephews.